The model that used to be the Hyundai Genesis became the Genesis G80 when it became the namesake of Hyundai’s newly-formed luxury brand. 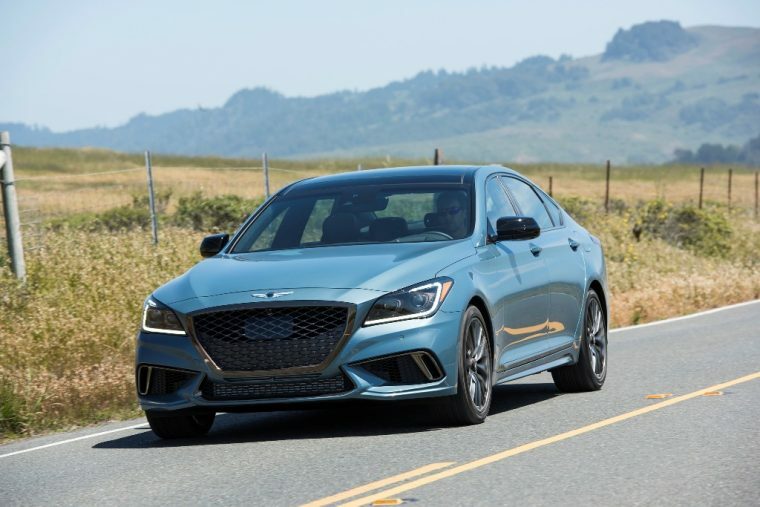 The first year of sales of the G80 showed the appeal of the affordable luxury sedan that’s better priced than its competitors are. As a practically-priced premium model that offers a wealth of standard features, the 2018 Genesis G80 proves that satisfying compromise is possible. What’s New for the 2018 Genesis G80? In its second model year, the G80 has already undergone slight styling, price, and feature tweaks for 2018. For a couple hundred dollars more, the basic G80 now bears a tighter front fascia, 18-inch wheels, and infotainment technology to connect your smartphone. The highlight of 2018 G80 is the addition of a new engine option: a 3.3-liter turbo V6 that–thanks to additional braking and steering enhancements–gives the model a much-needed athletic edge. This motor had only been available on the G90, but due to demand, has been introduced on the G80. The engine, available as a separate trim, includes an array of improved body and technology items, too. 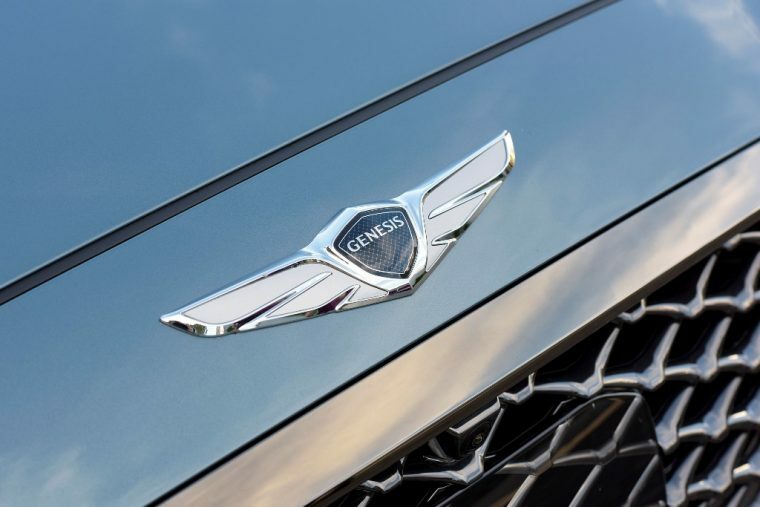 The exterior of the Genesis G80 doesn’t aim to buck luxury design trends and instead aims for a more conventional, conservative look, though it bears hints of modernism with chrome edging around the windows and grille. Its hexagonal grille is recognizable, and its LED taillights are admittedly stylish. Body colors include Casablanca White, Serengeti Brown, and Adriatic Blue. 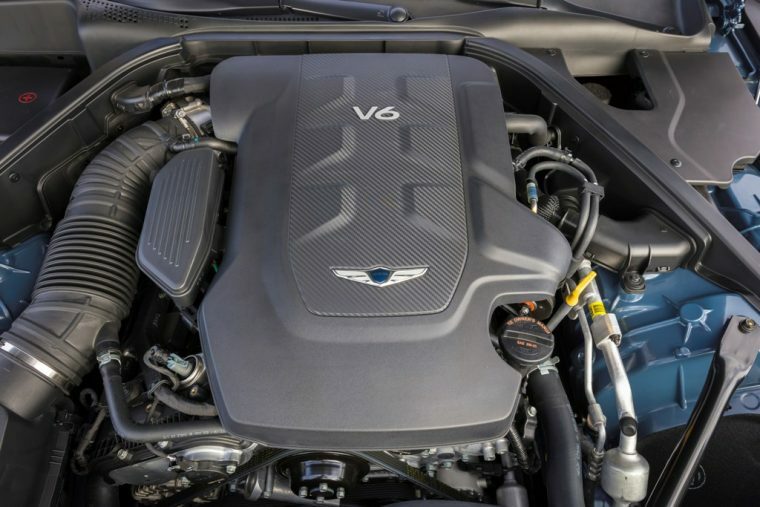 The 2018 G80 maintains the same basic engine this year: a 3.8-liter DOHC 24-valve V6 capable of 311 horsepower and 293 lb-ft of torque. The new Sport engine, a 3.3-liter twin-turbo DOHC 24-valve V6, bears marginally enhanced performance at 365 horsepower and 376 lb-ft of torque. At the top of the hill, though, is the 5.0-liter DOHC 32-valve V8 that proudly outputs a potential 420 horsepower and 383 lb-ft of torque. 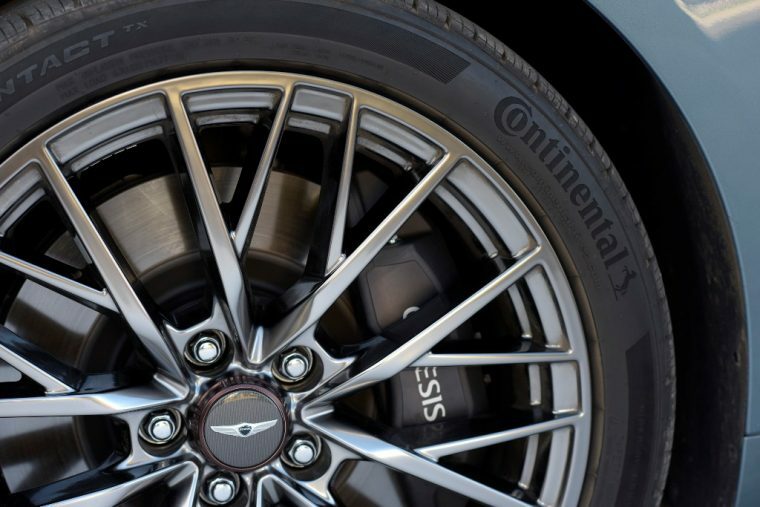 All three of these engine options are mated to an eight-speed electronic automatic with SHIFTRONIC® manual shift mode. The fuel efficiency of the 2018 G80 depends on which engine you choose. The basic 3.8-liter unit manages to maintain an EPA-estimated average of 19 mpg in the city and 27 mpg on the highway, which is pretty good for a V6. The new Sport engine gets slightly lower efficiency at 17 mpg in the city and 20 mpg on the highway. Finally, the V8 fully trades practicality for power, getting by on a combined city/highway average of 19 mpg. As you can expect, the inside of the G80 bears many of the styling and material touches that other such luxury sedans do. 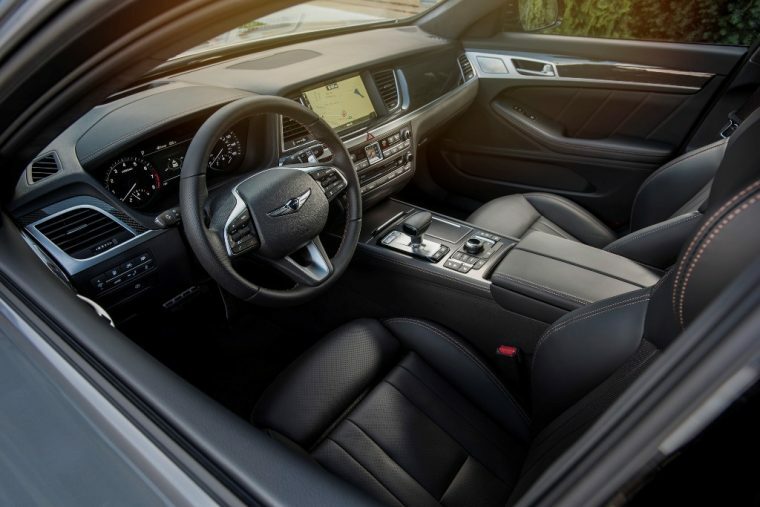 Aiming to compete with the most impressive interiors on the market, the G80 doesn’t hold back when it comes to its seats (full-grain leather with three-level heating/cooling) or its technology (intuitive instrument cluster and available 9-inch HD display). This five-seater also bears woodgrain and metalgrain accents. 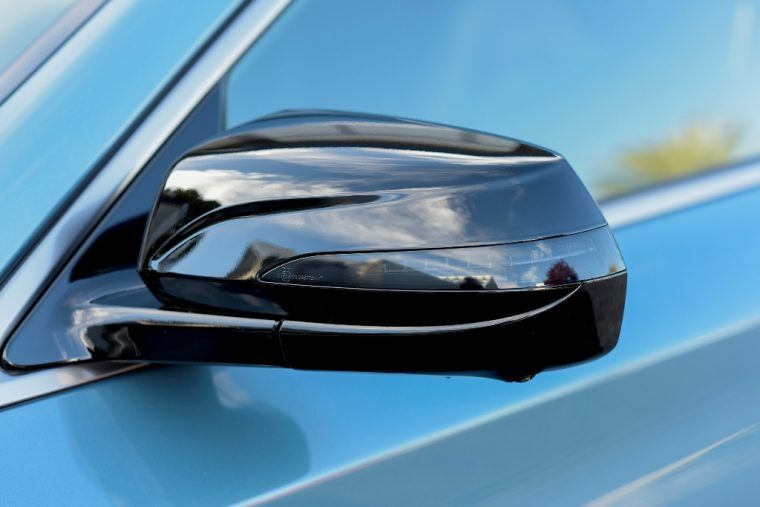 In its short lifespan thusfar, the Genesis brand has already become known for impressive safety. The 2018 G80 has passed crash tests with flying colors, earning a full 5-star rating from the National Highway Traffic Safety Administration (NHTSA) and top “Good” scores in every category evaluated by the Insurance Institute for Highway Safety (IIHS), making it a Top Safety Pick+.